Astute Lighting is built upon an in-depth knowledge ofthe electrician industry. 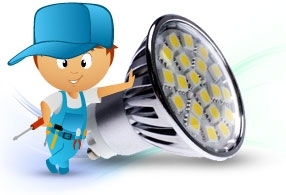 Understanding the great savings that can be made withenergy efficient LED technology Astute Lighting was formed by a team whocorrectly predicted that the LED lighting industry was set to growsubstantially. 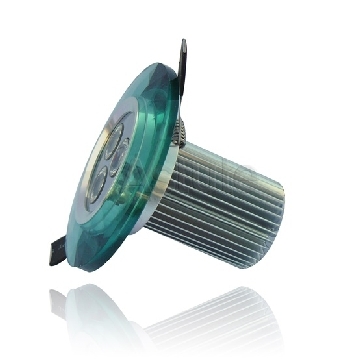 This in-depth knowledge of the industry has allowed thecompany to concentrate on the areas of the LED lighting industry that areenjoying the most significant growth allowing them to keep the prices down andpassing the savings onto the customers. Astute Lighting are always happy to pass on theirexpertise and share with customers and potential customers the great savingsthat can be made when switching from less energy efficient forms of lighting toLED technology. 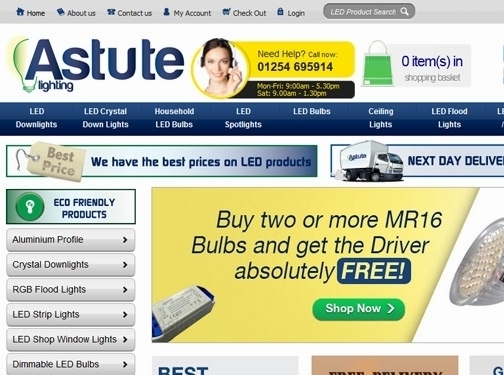 Astute Lighting offers a great trade discount totradesmen, businesses and bulk orders and can even offer next day deliveryfrom the online store. UK (Blackburn) based company - with over 25 years' experience - providing LED lighting products for sale. Website includes e-commerce facilities, delivery and returns information, terms and conditions, FAQs, full company contact details including company registration number.